Lucy is a little shaken after her English teacher dies in front of her and her mother undergoes successful cancer treatment. She is happy to see that their summer reading list includes her favorite book To Kill a Mockingbird but dismayed when she finds that most of the other students in the class don't want to read it. With best friends Elena and Michael she comes up with a plan to make everyone want to read the book as much as she does - by making it impossible to find. The group calls their movement "I Kill the Mockingbird" and hides all the copies of the book in libraries and bookstores in their area. Before they know it the movement has taken on a life of its own with people posting about it all over the country! 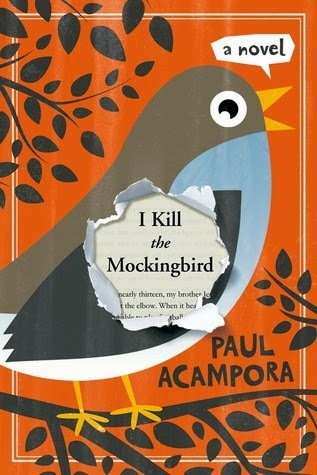 This is a fun book for fans of To Kill a Mockingbird and for adults but I really question its appeal to middle schoolers. Lucy's mom's approach to living her life was low key but refreshing. Actually, that sort of sums up the entire story.